Quantum systems in all areas of physics, from atomic and molecular physics, nuclear and particle physics to condensed matter and astrophysics, provide a mosaic of different structures. Yet there are some simple and universal working principles of nature which seem to govern these structures and manifest themselves in various forms, as well as likely hypothetical ones which might do the same. For example, the same symmetry group structure occurs again and again in optics, atomic physics and particle physics. Concepts like potential, phases, bound states, tunneling, interference, solutions, radiation and resonance are universal. 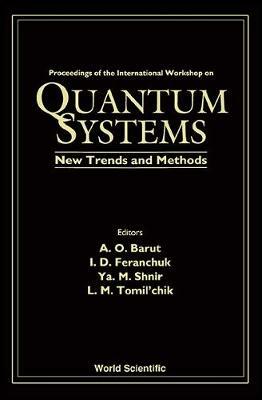 It is for those reasons that a collection of recent works in the many areas of physics on quantum structures and the methods for their investigation is important. The contributions are wide-ranging and yet there is a certain continuity. The main topics, namely non-perturbative methods in quantum theory, quantum nonlinear systems, quantum phases and magnetic monopoles, are covered by longer review articles. The corresponding mathematical methods, such as those for solving Schroedinger and relativistic wave equations, as well as those of algebra and group representations and analysis, are included in this volume.